What is a Plea in Abeyance? In simple English, "abeyance" means to be in a state of temporary suspension. Legally, a plea in abeyance means that you can have your criminal charges dismissed by the prosecuting attorney if you agree to meet certain conditions. If you do meet these conditions, you will keep a conviction off of your record as well as avoid prison or jail time. In some cases, a plea in abeyance can lower the degree of the criminal offense that you face rather than resulting in the case being dismissed altogether. For example, a felony might be reduced to a misdemeanor or a misdemeanor may be reduced to a simple infraction. While a plea in abeyance for a felony might still entail jail time, this option does help you avoid getting a felony conviction on your record. Felony convictions can have life-altering effects, such as making it difficult to obtain certain jobs or preventing you from legally owning a gun. For this reason, speaking with a Utah criminal defense lawyer about a plea in abeyance that will reduce the felony that you face to a misdemeanor might be the best option. In short, pleas in abeyance are used to help rehabilitate defendants and put them in the best position to avoid making similar mistakes going forward. Some courts in Utah will allow the court clerk to enter a plea in abeyance rather than making the defendant go in front of a judge for certain offenses. You understand that you will have the charges against you dismissed following this abeyance period, leaving no record of a conviction. Note that, even after you fulfill the terms of your plea in abeyance agreement and have the charges against you dismissed, the record of the charges that you faced and the fact that you entered a plea in abeyance will still exist. You would need to seek to have the criminal records expunged in order to seal them. Who is Eligible to Enter a Plea in Abeyance in Utah? Typically plea in abeyance agreements are only available to defendants who lack a prior criminal record, and prosecutors generally offer such pleas as a limited one-time offer. In addition, the criminal charge that you face must itself qualify. Utah's Uniform Fine / Bail Schedule outlines the charges that permit pleas in abeyance in Utah. To see if you qualify, locate the violation you are charged with. The violation code will appear on the citation that was presented to you by the police officer who cited you. 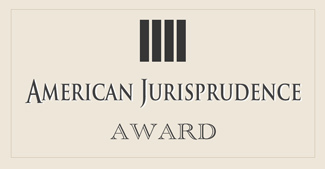 The column titled "Man Appr" will indicate whether or not the violation you are charged with qualifies for a plea in abeyance. If the violation you are charged with is marked "Y," you cannot enter a plea in abeyance with the court clerk and must instead personally appear in front of a judge. However, if the offense is marked "N," you can enter a plea in abeyance with the court clerk. What is Required to Satisfy the Terms of Your Plea in Abeyance? All pleas in abeyance carry a probationary period that varies in length depending on how severe the criminal charge is. In addition, a fee is almost always required to be paid at the time your enter into a plea in abeyance agreement. For some charges, the court will require you to take classes in order to meet the terms of your agreement. However, the risk of taking a plea in abeyance comes if you violate the terms of your probationary period. Such a violation can be as minor as neglecting to attend a required meeting with a bail agent. In such cases, the court has the power to sentence you for the charges you face without a trail. This rule is in place to disincentivize taking advantage of the prosecutor and the plea in abeyance system. If you do completely comply with each term agreed to in your plea in abeyance agreement, you can have your case dismissed by the court at the end of your probationary period. Are You Facing Criminal Charges in Utah and Curious if You Qualify for a Plea in Abeyance? Our team of talented Utah defense attorneys can help you explore your options, whether you are facing a new criminal charge or are looking for a 402 reduction or expungement to help clear your record. Wasatch Defense Lawyers serve clients throughout Utah, and our experience and expertise have led to a lengthy list of dismissals, appellate reversals, and not guilty verdicts. 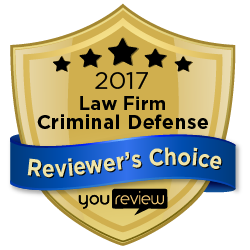 Moreover, our team has a long track-record obtaining pleas in abeyance for clients facing both misdemeanor and felony charges. 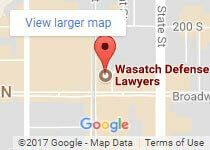 Contact Wasatch Defense Lawyers at 801-980-9965 today for a no-obligation consultation.